Weddings are notoriously difficult to shop for. As are anniversaries for that matter. And what's the deal with engagement parties? (are you supposed to buy gifts for them too?!) When faced with having to purchase engagement gifts, wedding gifts, anniversary gifts and then of course Christmas and birthday gifts for your favourite couple(s), it can be tricky finding something truly unique (or gifts that the couple in question don't already have!). So today I'm bringing you a gift guide with a difference!. Step 1: Decide what sort of couple you are buying for. Once you've done that, everything starts falling into place. A cheeseboard is a solid idea because who doesn't love cheese?! (apologies to the lactose intolerant!) 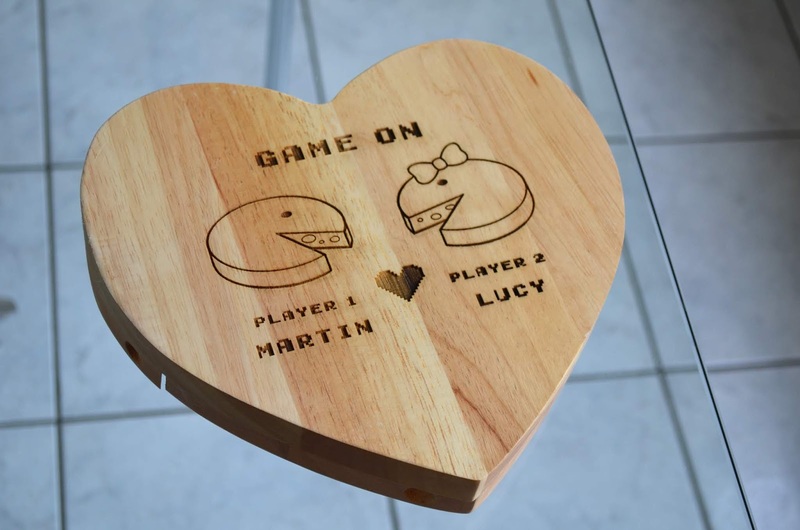 Available in a vast array of materials, a wooden cheese board is the perfect choice for a fifth year wedding anniversary - the symbol for which is "wood"- but also makes a great gift for any other anniversary / year. Or how about as an engagement gift? (it's something that could even be used at the engagement party / wedding!) 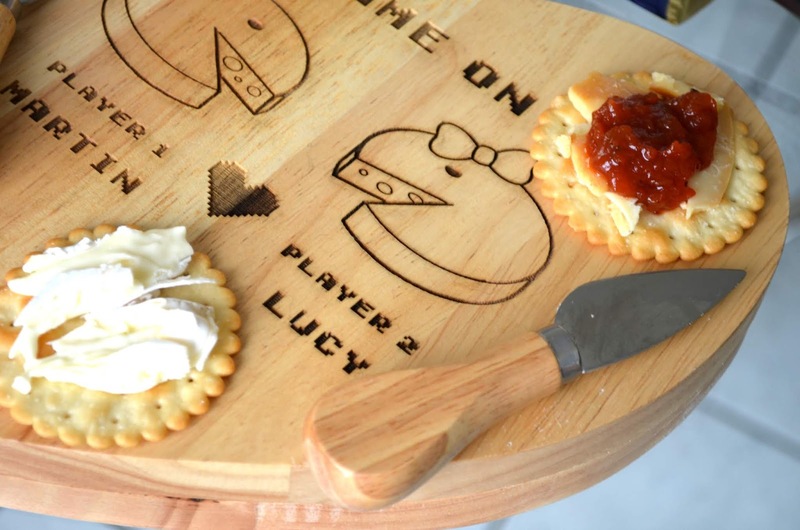 The fact that this cheeseboard can be personalised makes it feel extra special. It's suitably apt for couples who love gaming with the "ready player one", "ready player two" and Pacman engravings. 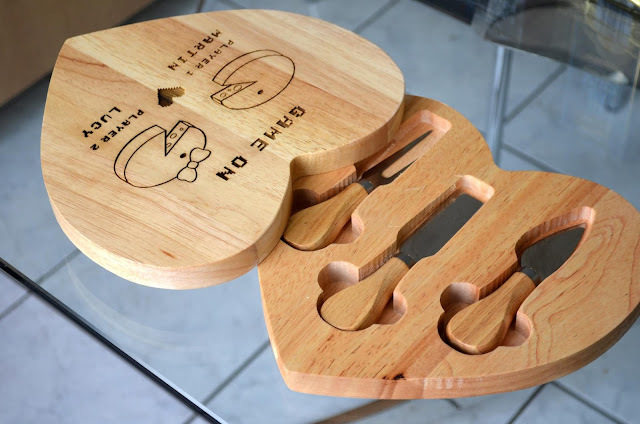 I love how Pacman is transformed into cheese! 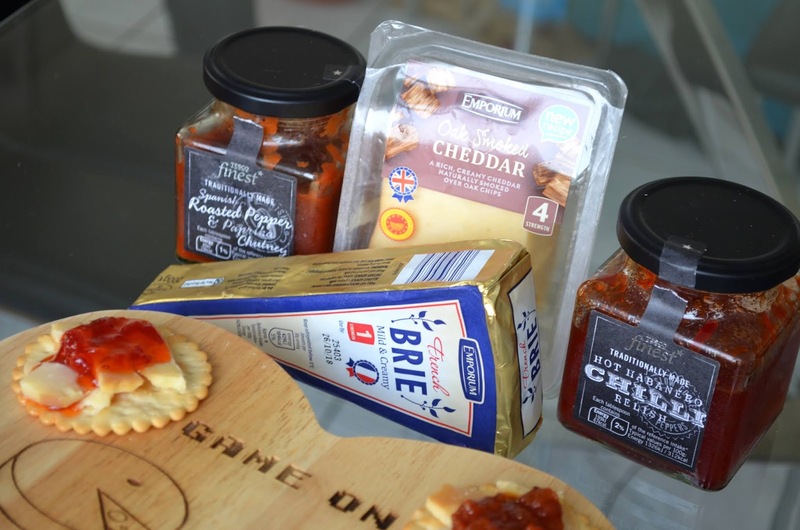 We love a cheese board at Christmas, however cheese boards aren't just for Christmas and we enjoy them throughout the year (please tell me I'm not the only one?!) 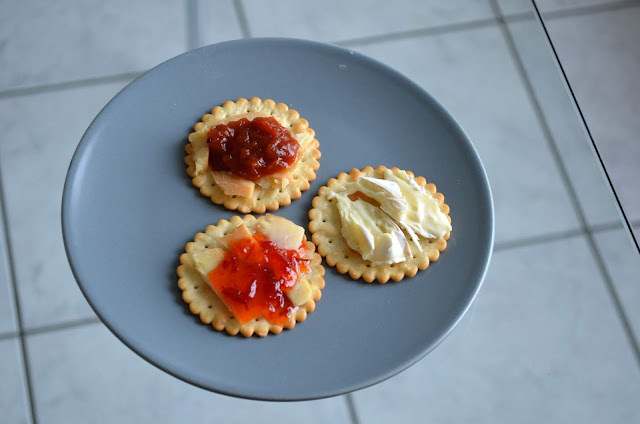 We had ours with sea salt crackers, smoked cheese (very similar to an Applewood) and Brie all from Aldi. And chutney wise, I highly recommend this chilli chutney (perfect with Brie and also great for adding excitement to burgers!) and this red pepper chutney (both from Tesco). 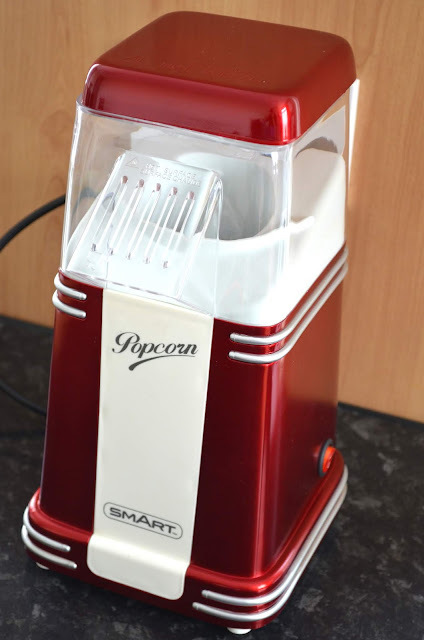 And as a second gift idea, how about a popcorn machine for "he popped the question and she said yes" ? 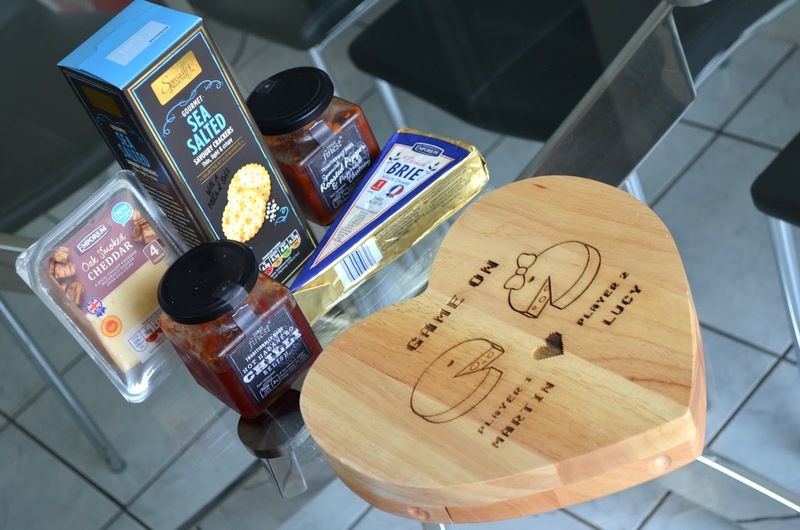 Another great engagement gift idea and another thing that can be used at an engagement party or at the wedding itself (venue permission dependent!). 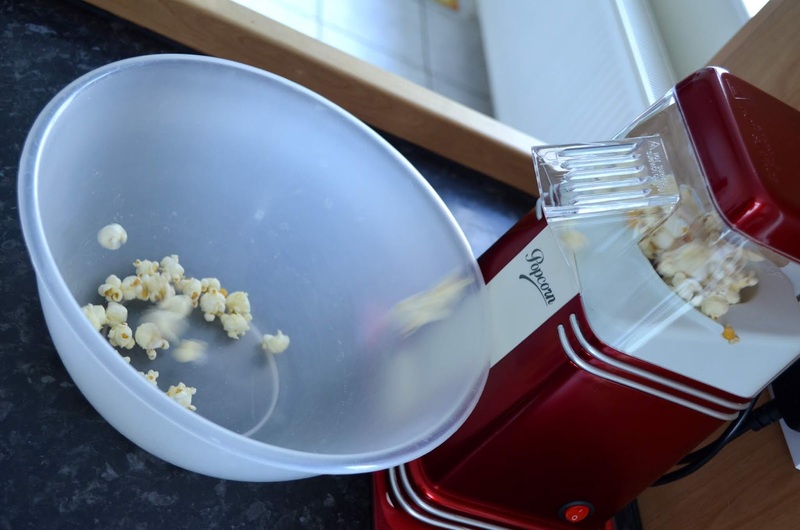 You could have striped candy bags or jars as wedding favours where wedding guests fill them with popcorn. I've seen the "he popped the question and she said yes!" luggage tags used at weddings before. And the great thing? 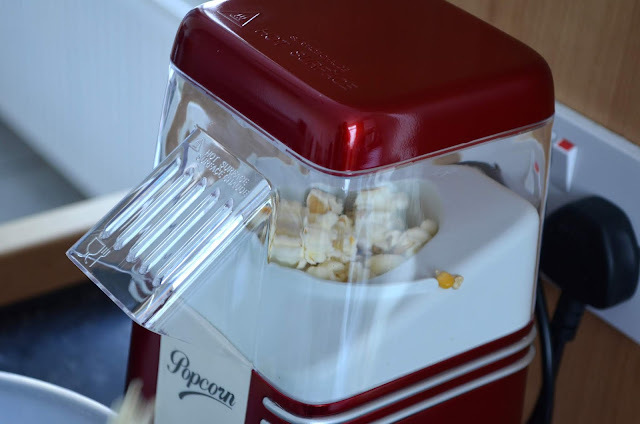 The machine can re-used in the comfort of your own home afterwards. Or alternatively popcorn machines are also great for any MOVIE BUFFS couples you know who love their nights in. The machine itself is a very smart thing indeed. They are doing KitchenAid mixers and kettles in this type of metallic red these days, so it could potentially be easily matched to your other kitchen accessories! For couples you know that have just moved into their first place together. In this day and age it's bloody impossible to get onto the property ladder (that deposit though) so you have to celebrate and shout it from the roof tops when you and your friends manage it! House sign - I for one would love to replace our tired looking front door number with something a little more modern like this! You know who I mean. No disrespect to them, but it's that couple you know who are oh so perfect and made for each other. You've never seen two people more in love, and it's a beautiful, beautiful thing. Mrs & Mrs tea lights - how luxe do these look?! I love gold paired with dark colours! For the couples you know who love a holiday. Or those just married and about to go on honeymoon. As cute as "just married" passport holders are, the couple in question (or yourselves!) won't be newlyweds forever. 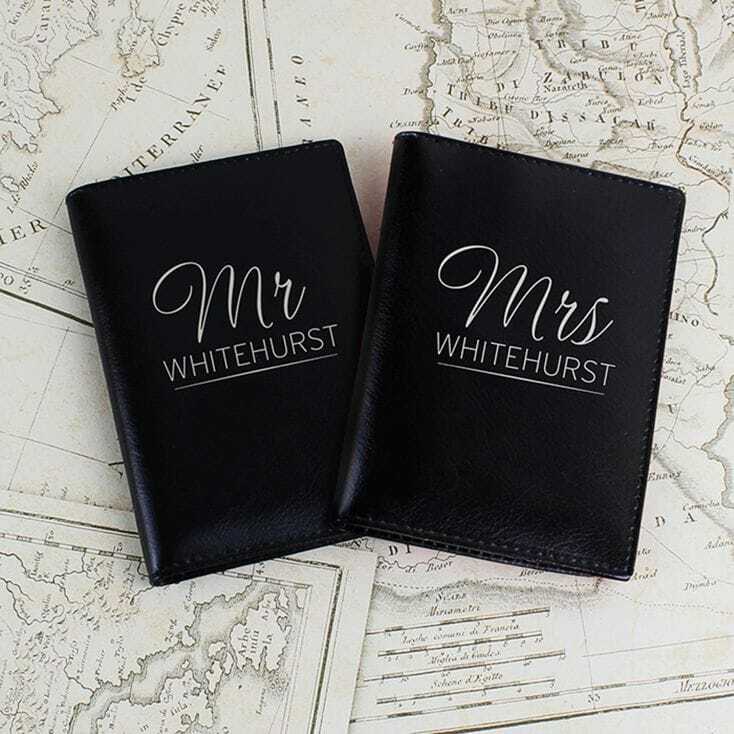 For an option with longer longevity why not go for a personalised Mr & Mrs passport cover instead? 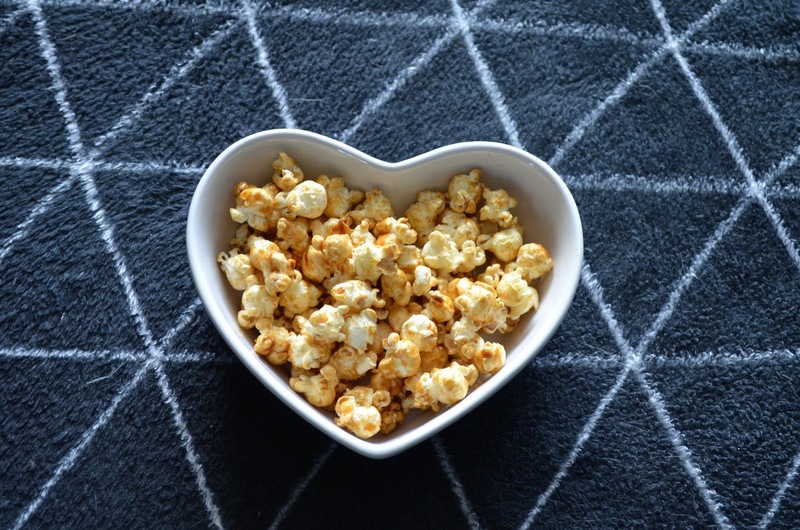 Great for newlyweds, but also great for your (hopefully) many years together! And how about this compass? 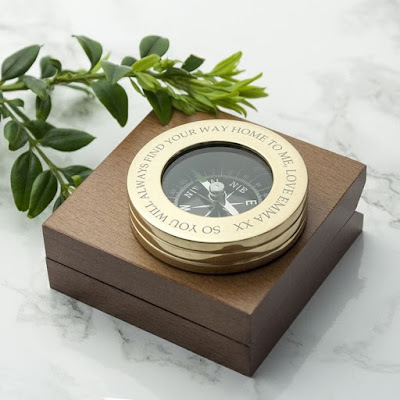 It can personalised with a range of messages but my favourite is "so you can always find your way back home to me". What a lovely and romantic anniversary token! * Some items from Find Me a Gift have been very kindly provided for review purposes, but as ever, all words and opinions are my own!